The sun is about to spill some of its secrets, maybe even reveal a few hidden truths of the cosmos. And you can get in on the act next week if you are in the right place for the best solar eclipse in the U.S. in nearly a century. Astronomers are going full blast to pry even more science from the mysterious ball of gas that's vital to Earth. They'll look from the ground, using telescopes, cameras, binoculars and whatever else works. They'll look from the International Space Station and a fleet of 11 satellites in space. And in between, they'll fly three planes and launch more than 70 high-altitude balloons . 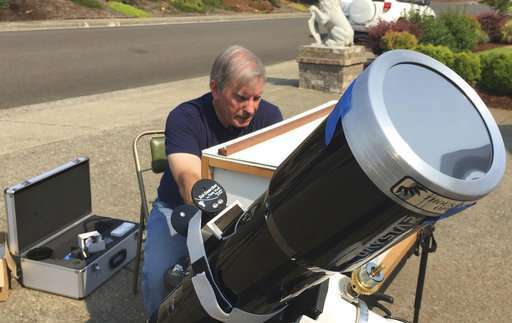 "We expect a boatload of science from this one," said Jay Pasachoff, a Williams College astronomer who has traveled to 65 eclipses of all kinds. Scientists will focus on the sun, but they will also examine what happens to Earth's weather, to space weather, and to animals and plants on Earth as the moon totally blocks out the sun. The moon's shadow will sweep along a narrow path, from Oregon to South Carolina. Between NASA and the National Science Foundation, the federal government is spending about $7.7 million on next Monday's eclipse. 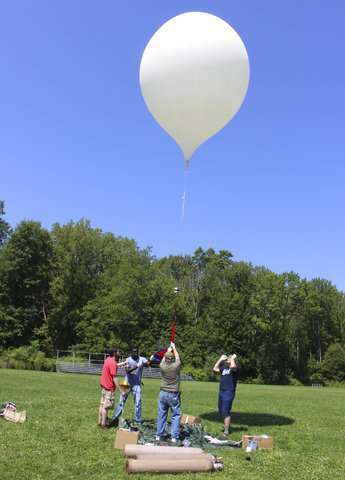 One of the NASA projects has students launching the high-altitude balloons to provide "live footage from the edge of space" during the eclipse. But it's not just the professionals or students. NASA has a list of various experiments everyday people can do. "Millions of people can walk out on their porch in their slippers and collect world-class data," said Matt Penn, an astronomer at the National Solar Observatory in Tucson, Arizona. Penn is chief scientist for a National Science Foundation-funded movie project nicknamed Citizen CATE. 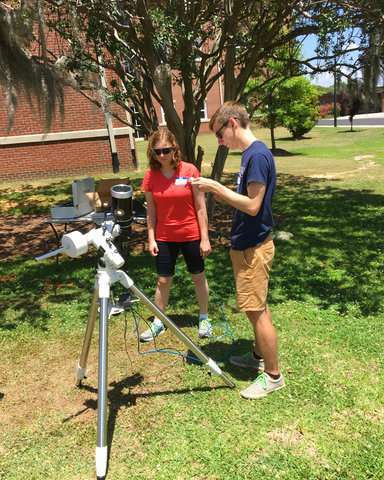 More than 200 volunteers have been trained and given special small telescopes and tripods to observe the sun at 68 locations in the exact same way. 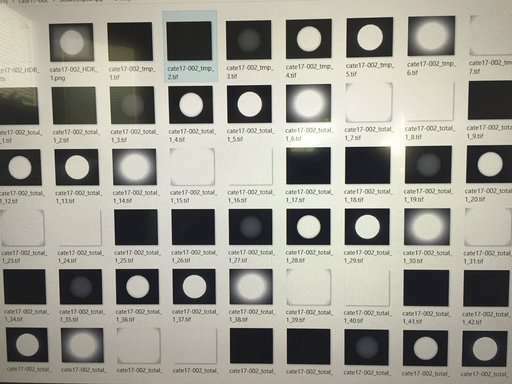 The thousands of images from the citizen-scientists will be combined for a movie of the usually hard-to-see sun's edge. Mike Conley, a Salem, Oregon, stock trader whose backyard is studded with telescopes, jumped at the chance to be part of the science team. "Who knows? Maybe a great secret will come of this, the mysteries of the sun will be revealed, because we're doing something that's never been done before and we're getting data that's never been seen before," he said. "A big discovery will come and everybody will say, 'Hey, we were part of that!'" You don't need to have telescopes to help out. You can use the iNaturalist app via the California Academy of Sciences and note the reaction of animals and plants around you. You can go to a zoo, like the Nashville Zoo, where they are asking people to keep track of what the animals are doing. The University of California, Berkeley, is seeking photos and video for its Eclipse Megamovie 2017, hoping to get more than 1,000 volunteers. Even with all the high-tech, high-flying instruments now available, when it comes to understanding much of the sun's mysteries, nothing beats an eclipse, said Williams College's Pasachoff. That's because the sun is so bright that even satellites and special probes can't gaze straight at the sun just to glimpse the outer crown, or corona. Satellites create artificial eclipses to blot out the sun, but they can't do it as well as the moon, he said. The corona is what astronomers really focus on during an eclipse. It's the sun's outer atmosphere where space weather originates, where jutting loops of red glowing plasma lash out and where the magnetic field shows fluctuations. The temperature in the outer atmosphere is more than 1 million degrees hotter than it is on the surface of the sun and scientists want to figure out why. "It's ironic that we've learned most about the sun when its disk is hidden from view," said Fred "Mr. Eclipse " Espenak, a retired NASA astronomer who specialized in eclipses for the space agency. And they learn other things, too. Helium—the second most abundant element in the universe—wasn't discovered on Earth until its chemical spectrum was spotted during an eclipse in 1868, Espenak said. But that discovery is eclipsed by what an eclipse did for Albert Einstein and physics. 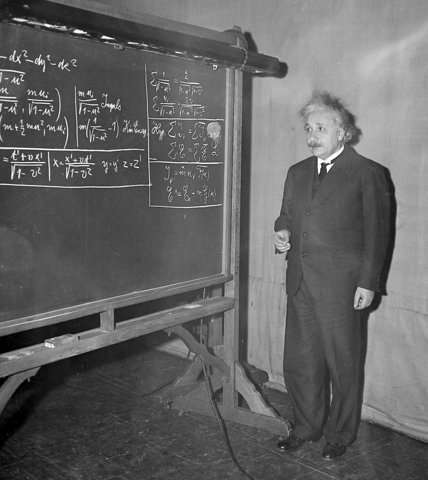 Einstein was a little known scientist in 1915 when he proposed his general theory of relativity, a milestone in physics that says what we perceive as the force of gravity is actually from the curvature of space and time. It explains the motion of planets, black holes and the bending of light from distant galaxies. Einstein couldn't prove it but said one way to do so was to show that light from a distant star bends during an eclipse. 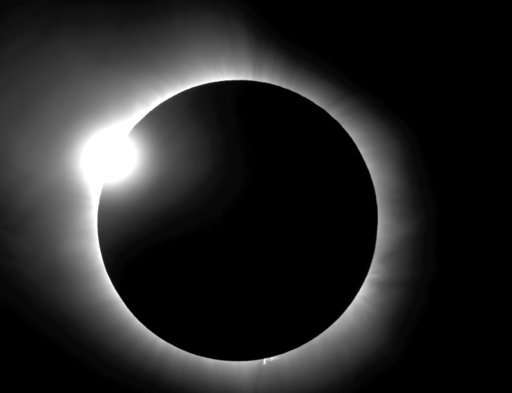 During a 1919 eclipse, Arthur Eddington observed the right amount of bending, something that couldn't be done without the moon's shadow eclipsing the sun. "It marked a complete change in the understanding of the universe," said Mark Littmann of the University of Tennessee, a former planetarium director. "Bang. Right there."